Help CentreUsing SuperControl Managing bookingsHow do I add notes to a booking? 1. First you need to navigate to the booking. 2. If you know the booking number you can enter this in the booking number search in the top right of the SuperControl pages. You can also go to Bookings > Grid view. Once you load your grid you can click on the booking to take you into the main area for that booking OR you can go to Bookings > Search bookings and use the filter options to find your booking. 3. Once you’re in the booking, scroll down and select ‘Add notes or files’. 4. 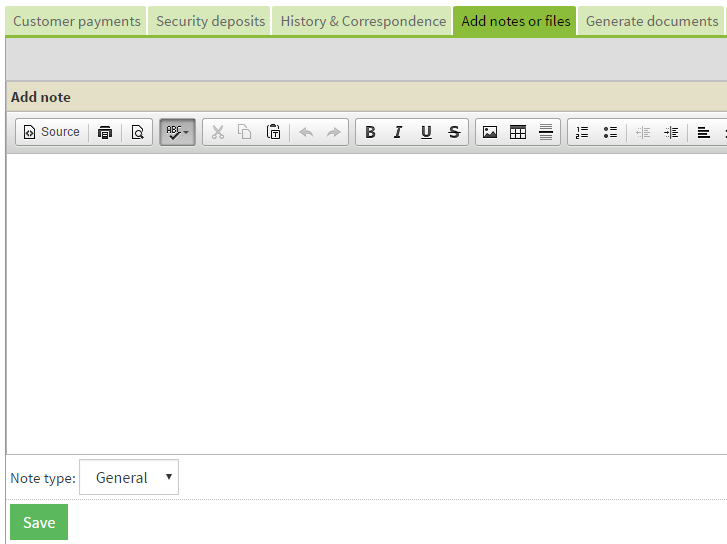 Type in your note or upload a file and click ‘Save’. The notes will then appear in History & Correspondence. This is for internal use to pass on notes to other colleagues or as a reminder to yourself. Prev: How do I process a security deposit/refundable deposit? Next: How can I add customer notes to a booking?